As interior designers, we must be able to see, not just look, at what has influenced our clients' lives in order to fulfill their visions. It is important that we understand all that embodies our clients' lives, and work closely with them to achieve the perfect interior design solutions for the clients and their spaces. 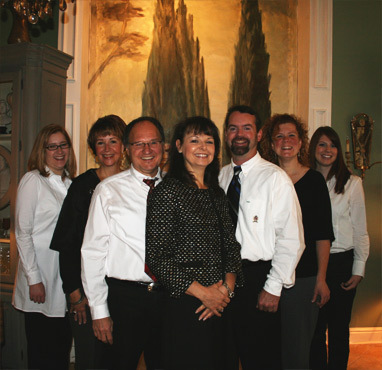 Our talented team of interior design and decorating specialists - and our staff - are dedicated to creating the unique interiors or home designs you dream of. We work closely with our clients, discussing their ideas and wishes, and do our best to turn their dreams into reality. We approach each interior design project with an open mind to the endless possibilities that await. Each client and project is truly unique - and every square inch of space speaks volumes. It is up to our interior design team to embrace the differences, and understand what each space needs to reach its fullest potential. Our on-site interior design library boasts more than 1,000 vendors - including most major furniture lines, accessories, lighting, and other home furnishings. We have an unparalleled selection of fabrics, including imported Italian velvets; embossed leathers and hides; embroidered linens; sumptuous silks, and multi-purpose fabrics. Diane Laskoski founded in 1987, and serves as president and Senior Designer. She remains actively involved in the firm's interior design project management; strategic business planning and development, and executive leadership. Diane holds a degree in Interior Architecture and Design from Carnegie Mellon University, and has experience in all aspects of interior design, construction, and remodeling. BUSINESS HOURS: MONDAY THRU FRIDAY 9:00 A.M. TO 5:00 P.M. Copyright © The Blind Side 2009. All Rights Reserved. Copyright © Villa Verona 2009. All Rights Reserved.